Once common along highland streams from western Costa Rica to western Panama, the variable harlequin frog is endangered throughout its range, decimated by a disease caused by the amphibian chytrid fungus. On Jan. 17, Smithsonian researchers released approximately 500 frogs at Cobre Panama concession site in Panama’s Colon province as a first step toward a potential full-scale reintroduction of this species. This release trial is included in Cobre Panama’s biodiversity conservation plan as an important part of their environmental commitments. 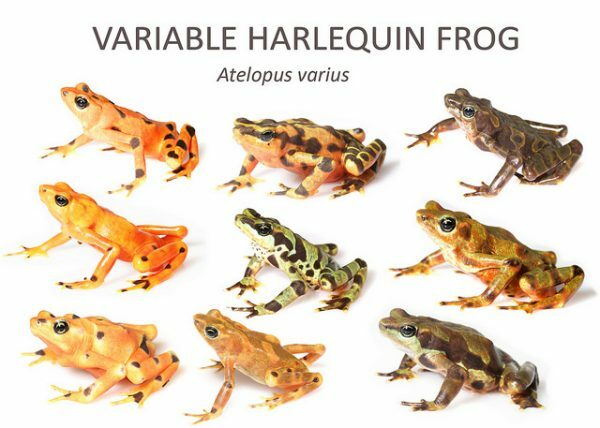 The variable harlequin frog, Atelopus varius, takes its name from the variety of neon colors—green, yellow, orange or pink—juxtaposed with black on its skin. 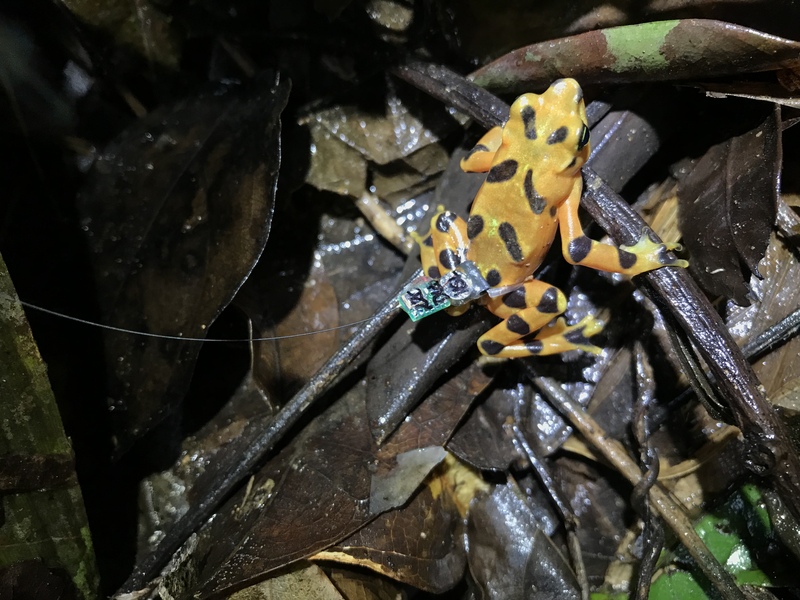 In order to monitor the released frogs over time, 30 are wearing miniature radio transmitters. 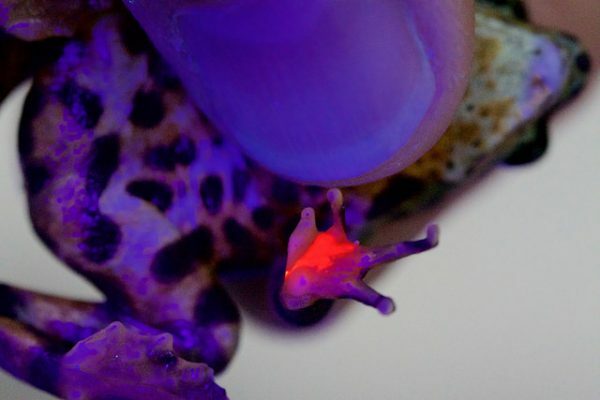 The scientific team also gave each frog an elastomer toe marking that glows under UV light to mark individuals as part of a population monitoring study. Variable harlequin frogs are especially sensitive to the amphibian chytrid fungus, which has pushed frog species to the brink of extinction in Central America. PARC brought a number of individuals into the breeding center between 2013 and 2016 as chytrid continued to impact wild populations. 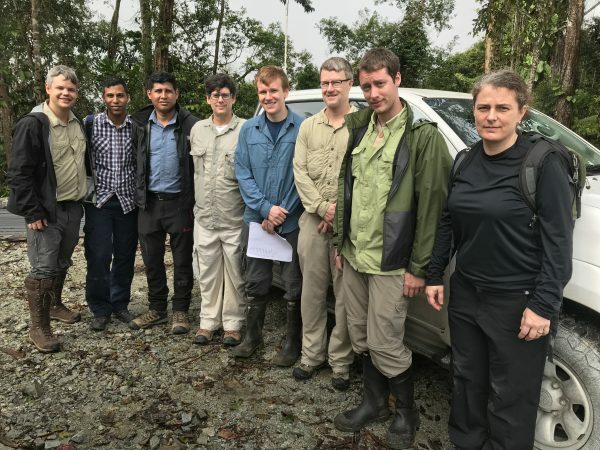 The PARC project thanks Cobre Panama, National Geographic Society, Mohammed bin Zayed Species Conservation Fund and The WoodTiger Fund for their generous support. PARC is a partnership between the Cheyenne Mountain Zoo, the Houston Zoo, the Smithsonian Tropical Research Institute, the Smithsonian Conservation Biology Institute and Zoo New England. It has two facilities in Panama: the Gamboa Amphibian Rescue and Conservation Center at STRI and the El Valle Amphibian Conservation Center at El Nispero. 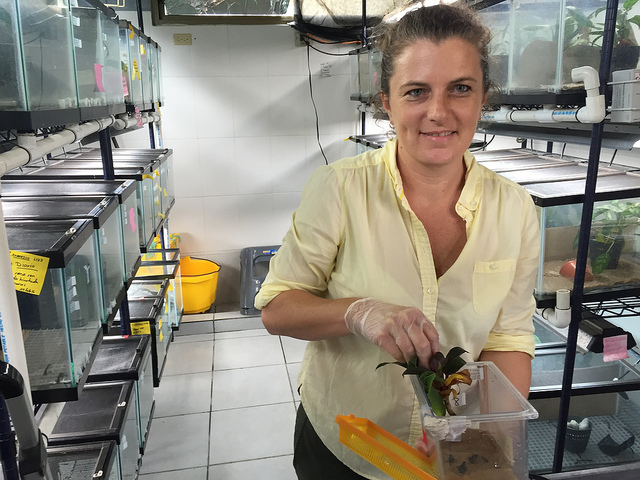 Combined, these facilities have a full-time staff caring for a collection of 12 endangered species. This entry was posted in Action Plan, reintroduction, Research by admin. Bookmark the permalink.